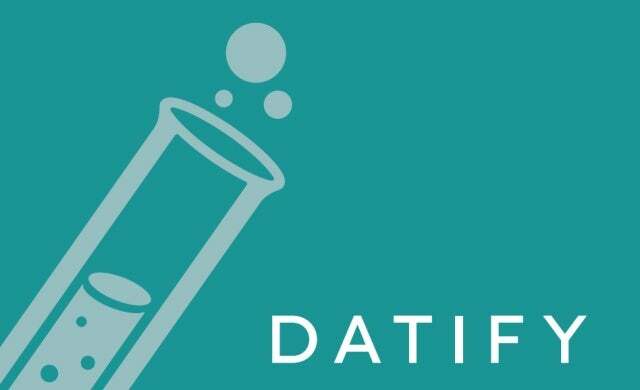 Datify is a data-driven digital marketing company set up and based in Peterborough. Our specialities are in search, social media, paid advertising and data analysis; combined we have a skillset that can provide a full digital marketing service which can be enhanced, tracked and proven using data. We set up as a new digital marketing agency because we saw a gap in the UK market for marketing with a data driven focus. Harper and I have both worked in agency environments previously and we have seen firsthand how quickly the focus on end results can be lost in the huge amounts of work that needs to be accomplished for clients. By simply letting data do the talking you can make sure that there are clear, defined goals that will help improve your client’s bottom line. We use data in every marketing decision we make for clients. This not only helps prove results but it ensures that every small step and plan we make works towards an end goal that will always provide direct results for the client, whatever their goals. Yes, we received a small amount of private capital so that we could hit the ground running and focus on helping our clients rather than making sure the bills are paid. Adam Mason: Head of search for a large digital marketing agency and an in-house digital marketer previous to that. Ben Harper: Social media manager for another major marketing agency. Crime & data analysis for the police force prior to this. What is the best thing about where you’re based? Being based in Peterborough was a fantastic choice for us as a start-up. It allows us to keep our costs low but offers good transport links as we’re only 40 minutes away from London by train. Peterborough has recently been announced as the fastest growing city in the UK and as we’re located in the city centre we have had no issues with hiring the right people for growth. At the same time, we have been to several business meet-ups in Peterborough and I must say that as a new business we have been very well received and people have been keen to support us.